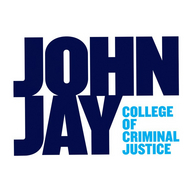 Cushioned by Central Park and the Hudson River on Manhattan's Westside, John Jay College of Criminal Justice of the City University of New York is the only four-year college in the nation devoted exclusively to the study of criminal justice and public service. An international leader in educating for justice, John Jay offers a rich liberal arts and professional studies curriculum to upwards of 14,000 undergraduate and graduate students from more than 135 nations. In teaching, scholarship and research, the College approaches justice as an applied art and science in service to society and as an ongoing conversation about fundamental human desires for fairness, equality and the rule of law.